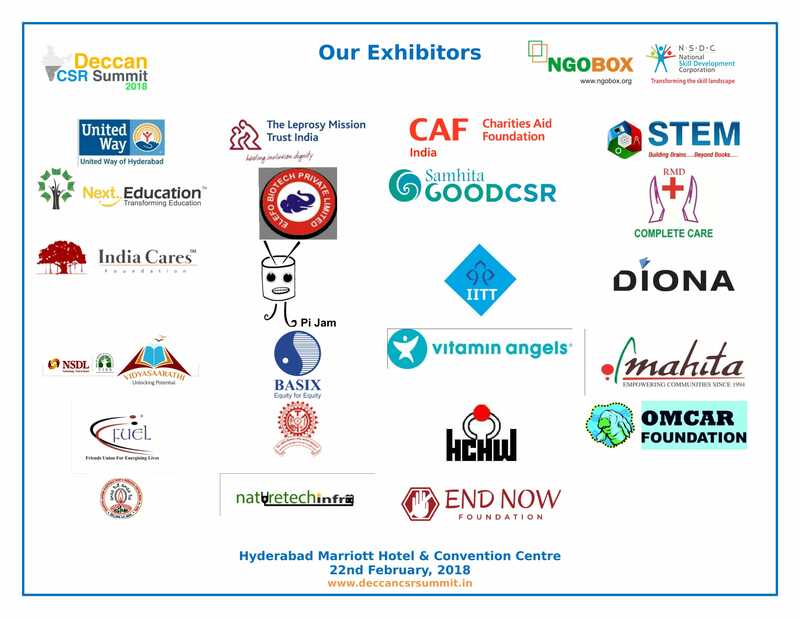 The Deccan CSR Summit 2018, a conference which brought together the major corporate organizations and non- profit organizations under one roof, was held at the Marriott Hotels and Convention Centre, Hyderabad powered by NGOBOX and co hosted by NSDC. The participants and speakers in the conference were eminent names from the Government, corporates and development sector. The Deputy Chief Minister of Telengana, Mohammad Mahmood Ali graced the event as Chief Guest. The event witnessed the participation of 600 + development sector professionals including 110+ CSR Heads. 35 exhibitors participated in the exhibition. 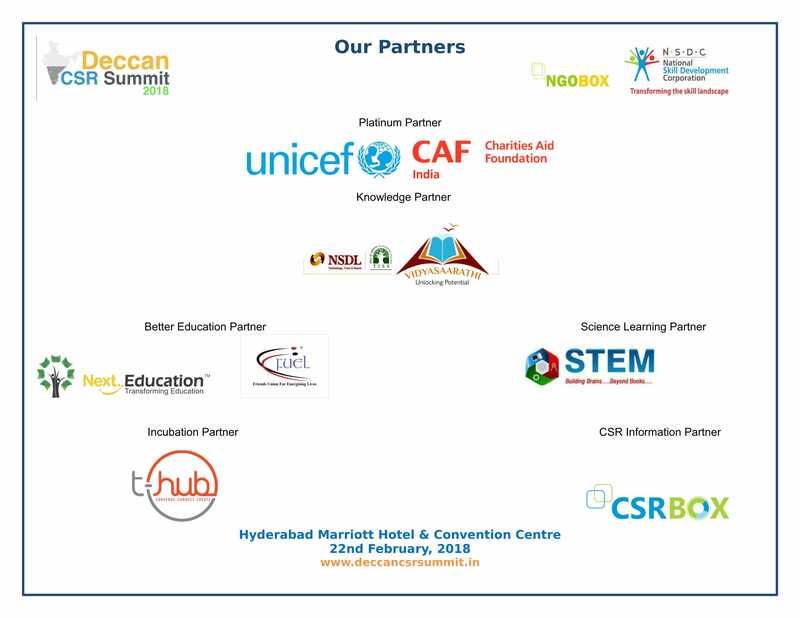 Partners like NSDC, Unicef, United Way of Hyderabad, CAF India, T-Hub, NSDL etc contributed to the success of the event making it Deccan's one of the largest CSR Forum.